Matthew Morrison, well known celebrity extraordinaire, who sings, acts, and dances, can be considered what those in the industry call a “crossover success.” He went from starring every night on Broadway to then transitioning quite seamlessly to the silver screen. This song and dance man, whose idol is the iconic Gene Kelly, was Broadway bound from an early age. 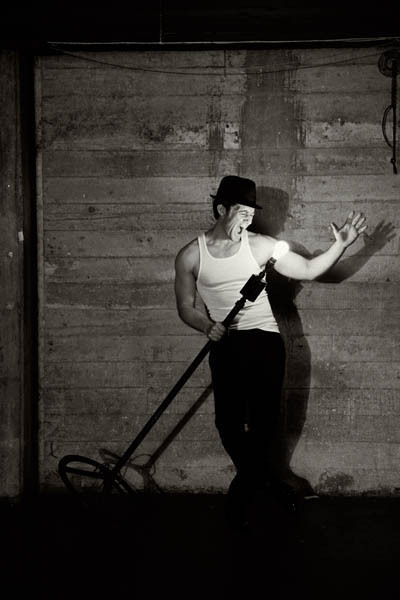 After attending a top notch high school for the performing arts and NYU Tisch, he began making a name for himself on Broadway, starring in such blockbusters as Footloose, The Rocky Horror Picture Show and Hairspray. 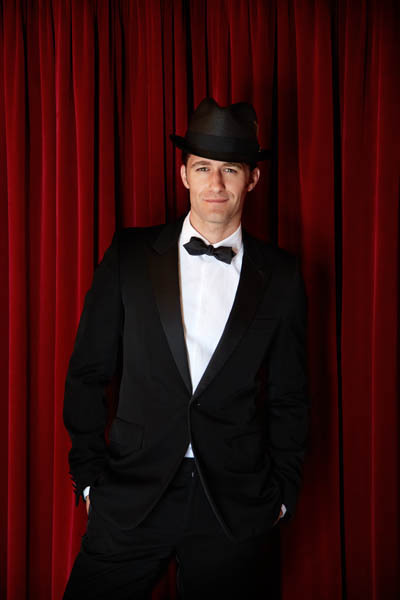 He achieved television popularity and stardom when he was cast in the FOX musical comedy television show Glee as the thoughtful, fun-loving and exceptionally talented Mr. Schue. After becoming a household name after the show wrapped, Morrison went straight back to the theater in the Harvey Weinstein musical Finding Neverland starring as J.M Barrie, a role for which he received critical acclaim. Today, Morrison seems to be everywhere—guest starring on The Good Wife and preparing himself for a one night only engagement with The New York Pops. While he shared with Resident that he hopes to take some time for himself and his family this summer, we aren’t completely convinced Morrison plans to slow down any time soon. Q: You’re performing with the iconic New York Pops this summer in New York City. How did that particular performance and partnership come about? A: I’ve been fortunate enough to perform with many of our country’s greatest conductors, but one of the best conductors of our times in Steven Reineke, the music director and conductor of the New York Pops. He proposed putting an engagement together with myself and the New York Pops at the Forest Hills Stadium in Queens. As for what’s in store for the show, we haven’t come up with our set list just yet. It’ll be comprised of some standards, but whenever I get up on the stage, what I really love to do is dance—Gene Kelly is my idol. I’m looking forward to it especially since I just wrapped up my stint at 54 Below, one of my favorite venues to perform in. I’m at my best when I can interact with my audience. Q: Can you tell me about your current projects? A: For years I worked tirelessly, taking on projects when they would come, but now I’m at the point in my career where I can be more choosey with what I want to do. I was offered a few different pilots after I wrapped Glee, but nothing was speaking to me. I got married in October 2014, and my wife and I put our honeymoon on hold. This summer, we’re taking that delayed honeymoon and have planned to travel for a month long throughout Europe and Africa. We’ll be visiting England, France, Italy and Africa. Africa has been on top of our list of places to visit, and I cannot wait to be immersed in such a beautiful experience. Q: What do you like to do when you’re living and working in the Big Apple? A: Summer is the most exciting time to be in the city, in my opinion. I love going upstate and to the Hamptons and there’s just more energy in the city. It feels like everyone’s more rambunctious. I love getting together with friends who often host barbecues in the city and then hitting up fun cocktail bars after. My wife and I love off-the-beaten path restaurants and bars like Bar Central. We also love this little Peruvian place in our neighborhood in Chelsea that we go to all the time. Another favorite of ours is La Bodega Negra with really great Latin food and spectacular cocktails. Our neighborhood is changing with so much construction going on, which is great for us in the long run, upping our real estate value. Q: What books are you currently reading? A: I’m actually reading Pirate Hunters: Treasure, Obsession, and the Search for a Legendary Pirate Ship by Robert Kurson. It’s about these guys who are actually deep sea divers in search of pirate ships. For my travels, I’m looking forward to getting into The Agony and the Ecstasy which is Michelangelo’s life story and we’ll be in Italy and looking forward to checking out everywhere that’s mentioned in the book. Q: What’s next for you in your career? A: I’ve established myself as a true artist – I’ve had a certain amount of accolades and I think I’ve gained the respect of my peers. I will always want to come back to the stage, but after coming off of Finding Neverland with such a grueling schedule, I’d like to do some more TV and film for a while and then come back to Broadway. My focus now and hopefully going forward is also on the philanthropic side of things. Dr. Ralph Opacic launched the performing arts school I went to, Orange County School of the Arts, and he and I are working very closely in 2017 to open two new schools in California including San Diego County and probably in North Hollywood. For 2017-2018, we plan to roll out two more schools and make this a nationwide performing arts charter school. I wouldn’t be where I am if I hadn’t had the education I ha d. They have a culinary arts program, visual arts, film, media, creative writing and so many different outlets that the school provides and I’m truly excited for this venture. Our eventual goal is to get into New York as well. Q: What was your go-to audition song in your early years? A: “On The Street Where You Live” from My Fair Lady. It’s actually the one song I sang for every audition, including Glee. That song shares such great storytelling, and I appreciate that a lot since you don’t find that quality as much in music today. Q: If you weren’t a performer, what would you be? A: In my junior year of high school, I was met with a dilemma – to pursue the arts or athletics. I was a pretty good soccer player, and had some opportunities to continue with it as a career. However, as you can see, I chose to stick with the arts. With that being said, the answer would be athlete. Q: Who’s one famous person (dead or alive) that you’d like to have dinner with? On Thursday July 7, Matthew Morrison took to the stage at Queens-based Forest Hills Stadium with fellow Broadway icon, Megan Hilty for a special evening of song, dance and spectacular music, celebrating classic Broadway style. Morrison and Hilty were supported by the incredible New York Pops, conducted by Steven Reineke, their renowned music director and conductor. Morrison channeled his inner (and outer) song-and-dance man persona to perform such classics as Come Fly With Me, On the Street Where You Live and Singin’ in the Rain. He also paired up with Hilty for a touching rendition of Somewhere Over the Rainbow where Morrison played his beloved ukulele throughout the duet. Another shining moment was when Morrison returned to his beginnings on Broadway to sing a medley from Hairspray—one of his first Broadway productions in which he played Link Larson. As for the closing of the evening, it came full circle Morrison ending with a medley from his latest show, Finding Neverland. An audible sigh was heard throughout the crowd when the performance was over and it was clear to see we all wanted more of Matthew Morrison.